The star named HD 164595 has a mass about 99% of our sun’s mass and lays about 95 light-years from Earth. Based on cosmic evolutionary assumptions they give it an estimated age of 6.3 billion years, and it is known to have at least one planet, HD 164595 b, similar in size to Neptune, which orbits its star in 40 days. Other planets may exist; that is their primary hope and it is from one of those planets that this new signal has come. After so many decades of no success, to the point many despair over the prospects of ever hearing from an extraterrestrial species, the signal was sufficiently “provocative enough that the RATAN-600 researchers are calling for permanent monitoring of this target.”6 The detection is important enough that it and the work needed to understand its origin was planned to be discussed at a SETI committee meeting during the 67th International Astronautical Congress in Guadalajara, Mexico, on September 27. Well, that meeting has already begun. But we don’t need to wait for a report on the resolution. A friend emailed me the same day this news was published, and asked me what I thought. Immediately the 11 GHz signal frequency brought to mind my own satellite communication experience near X-band, actually in the range of 12 GHz to 14 GHz. So I said I suspect that it was from Earth–a signal from a satellite. He apparently commented that he would not be surprised if the signal was due to some terrestrial origin, because it was observed in part of the radio spectrum used by the military. Only 4 days after the publication on September 2, 2016 an online article reveals the real story, the truth behind the ‘discovery’ of intelligent life.7 A news item buried in a press release from the Russian Academy of Sciences announced an interesting radio signal at a wavelength of 2.7 cm was detected in the direction of the star system HD164595 in Hercules in the year 2015. Then after subsequent data analysis and processing of the signal it was revealed that it is most probably terrestrial in origin. But the lesson we should all learn from this is that beliefs do not add up to science. SETI is a failed research program because life does not happen by chance. The spontaneous origin of life is not a ‘cosmic imperative’. It is impossible for self-replicating molecules to organize themselves from some sort of biotic soup even if the soup did exist. The reason may be found in what modern genetics has shown us: life depends on the code written on the DNA molecules, not on the chemicals themselves. And where did the code come from? From an intelligent mind. So without the Creator God, where do the SETI scientists / philosophers expect the intelligent mind to come from, which is capable of creating from nothing the self-replicating code that builds self-replicating organisms? The only Intelligent Source is the Creator God who made man in His own image (Genesis 1). J.G. Hartnett, Wow! Communications from little green men? April 5, 2016. D. Catchpoole, SETI—religion or science? August 18, 2006. 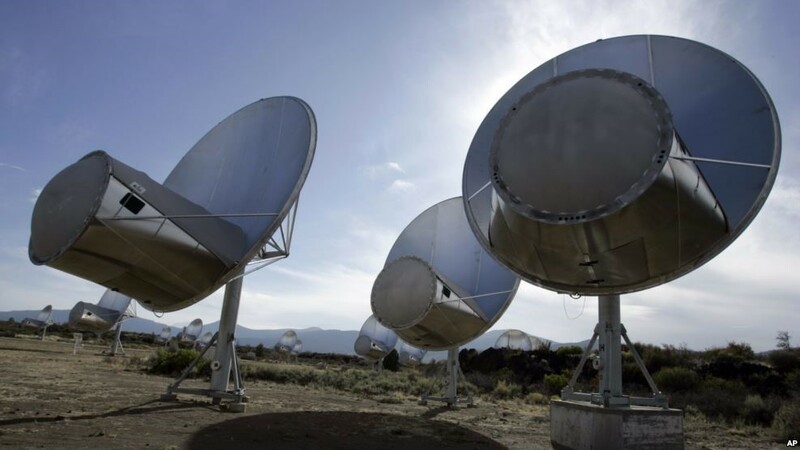 J. Tarter, The Allen Telescope Array, SETI Institute, accessed 8 September 2016. G. Bates, SETI—coming in from the cold of space, Creation 26(3):48–50, June 2004. E. Berger, SETI has observed a “strong” signal that may originate from a Sun-like star, August 29, 2016. K. Enochs, The Real Story: Alien Radio Signal, September 2, 2016.